They emerged from the punk movement around 1976, and became in less than 3 years, the ultimate new-wave group, even in the eye of fellow-bands like U2, Echo And The Bunnymen or The Cure. 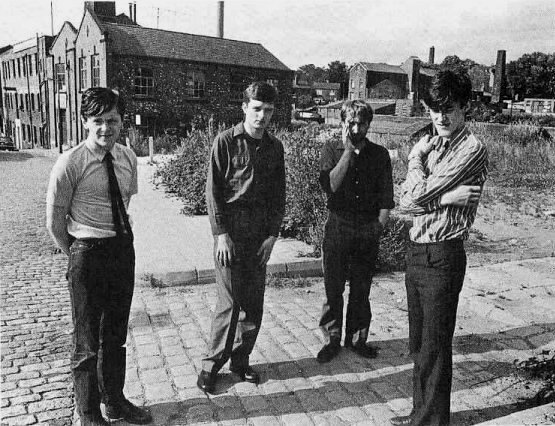 Joy Division's music is at the same time, dark and limpid, oppressing and liberating, dramatic and stimulating, in a word, it is filled with life. In the beginning of the 80's, veracious new-wave bands were more trying to express what they lived, felt and liked than trying to make money or get famous. In the Mancunian group - one has just to see or listen to their gigs to be aware of it, there is a feeling of absolute emergency. No cheating, no advertising (no musician name or picture on the record sleeves), no marketing strategy. They are here because they have to, even if they do not feel like it. Absolute urgency, as the need for your lover's eyes, the comfort of a friend or the smile of a child; urgency that pushes you to the limits, and even further, whatever the cost.